For Honor, a thrilling multiplayer combat game developed by Ubisoft Montreal, is among the most awaited and popular games of 2017. 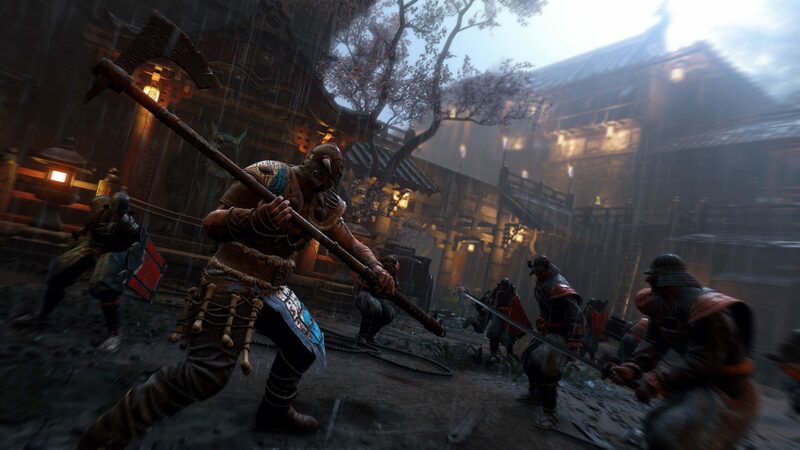 Released on February 14 for Microsoft Windows, PlayStation 4, and Xbox One platforms, For Honor instantly broke into the best-selling game charts in several countries, totaling to over 700,000 copies sold only during the first month of its launch. For those who haven’t tried playing this game, For Honor could be very complicated and difficult to master at the start. Nevertheless, the fresh and exciting gameplay of For Honor can provide you with enough motivation and patience to master the game. It is definitely not your usual third-person action fighting game. For Honor allows you to play a character from one of the three factions – The Legion (Knights), The Chosen (Samurai), and The Warborn (Vikings) – and play in battles to win territories in the medieval setting. Although the game has its own tutorial mode wherein you can practice and develop your skills, mastering For Honor in just a few days is certainly not an easy objective to accomplish. Remember these four useful tips to playing For Honor and start winning battles with dominance. Choose a hero and master it. Unlike other games wherein you need to use points or to pay in order to unlock new champions, you can instantly start playing one of all the twelve heroes in For Honor. You don’t need to contain yourself in a single hero as you can opt to change to another one as you progress in the game. Each faction has four different classes with their own strengths and weaknesses. The Vanguard class has a well-balanced defensive and offensive capabilities and is highly recommended for beginners. The Heavy class which is slow yet resistant to damage is best suited for holding capture points. The Assassin is a fragile class but they can deliver powerful attacks in a flash. The Hybrid class is a combination of the three types and is capable of executing rare abilities. After choosing a class, give it some time for you to be accustomed to the playing style and role of your hero. Playing with a hero can earn you gears and new abilities that will make your character stronger. Each hero has its own attack speed and movement patterns. Learn the proper timing so you will be able to take down your opponents more efficiently. Aside from proper timing, don’t forget to master how to attack and block properly using three stances. Be familiar with using your combos, breaking guards, and using zone attacks effectively and at the right time. Earn loot from Campaign Mode. Don’t focus too much on War Assets and Faction Wars and start dedicating your time in the Campaign Mode instead. Experience points that you earn from this single-player game mode do not carry over to the multiplayer mode but you can collect a lot of Steel (For Honor’s currency) from completing missions and other tasks. You can also try playing all of the twelve heroes in Campaign Mode. Use the latest For Honor hacks. Whether you are playing For Honor beta or the full working version, using the complete game hack from IWantCheats can definitely change the way you play For Honor. This secure and undetected hack works for both single-player and multiplayer modes. The latest version of the For Honor hack also includes auto-block, guard break interrupt, radar, and full ESP among other exciting features.